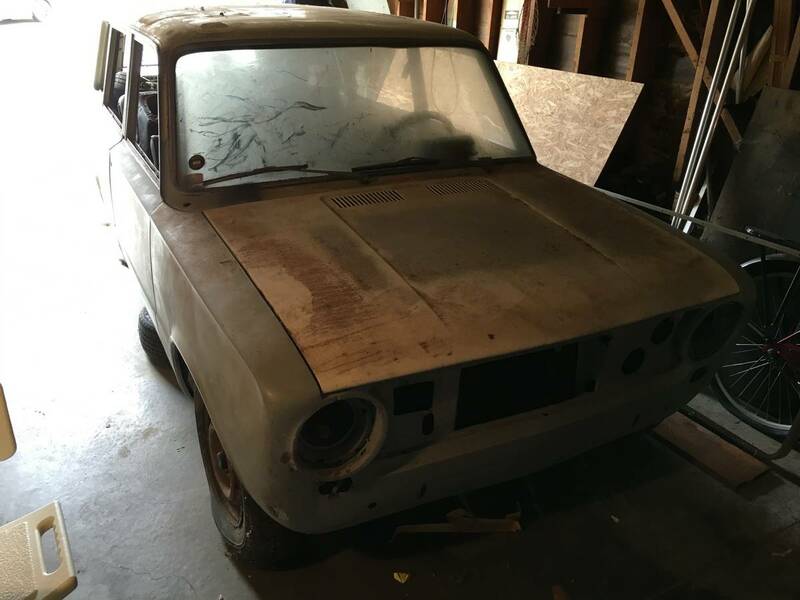 For some strange reason, it seems that most of the Fiat 124s we find for sale are some Soviet built Lada 1200/1300 version or some other licensed oddball...but not today. Today, we've got a scruffy looking Fiat branded version for a bargain price where you might need to bring a tow dolly. 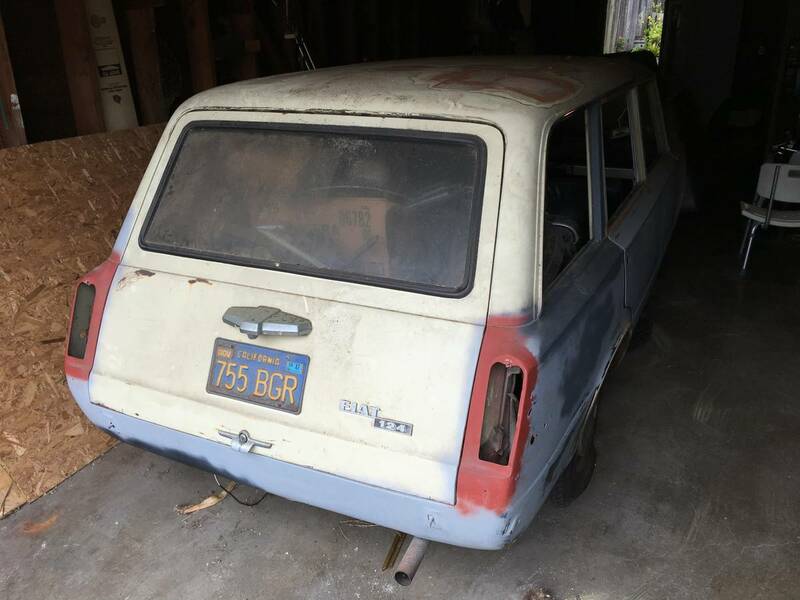 Find this 1970 Fiat 124 Wagon offered for $250 in SF Bay Area, CA via craigslist. Tip from Kaibeezy. Marco: Porsche and Peugeot have taken all the good numbers, we name-a this next car the 124 too. Roberto: The 124-2? What's-a the 2-a mean? Marco: No, no no <hand waving> just-a the 124. Like the other 124s. Roberto: This-a might be the vino a-speakin, but I like-a this idea too. Let's-a eat. The seller recommends that the buyer has a towing device to bring it home...so here goes. We would replace the clothespin holding the climate control together with a period specific clothespin. Apart from layers of dirt/grime it appears to be usable as-is. Repaint the entire car (or keep the vintage patina), fill the tank with some period correct gasoline, and it will be worth $50k at auction in six months. I loved my little pezzo di cacca back in the day. The Twin Cams are great little sedans as well. Hilarious angles through corners, but they never spit you out no matter how stunad you act. I would be remiss if I didn't suggest an Il Camino-izatione of this. It's so damn close I really should go have a look. But if anything else shows up around here, the NEXT thing that appears in the driveway will be the process server with the divorce paperwork. Three need to leave before one more appears. Easy to remember the license plate: that is the mnemonic for "booger". How apropos! Booger would be a great custom plate once it were running, leave body as is! No side glass... Oh hey - so it's 'air conditioned'! 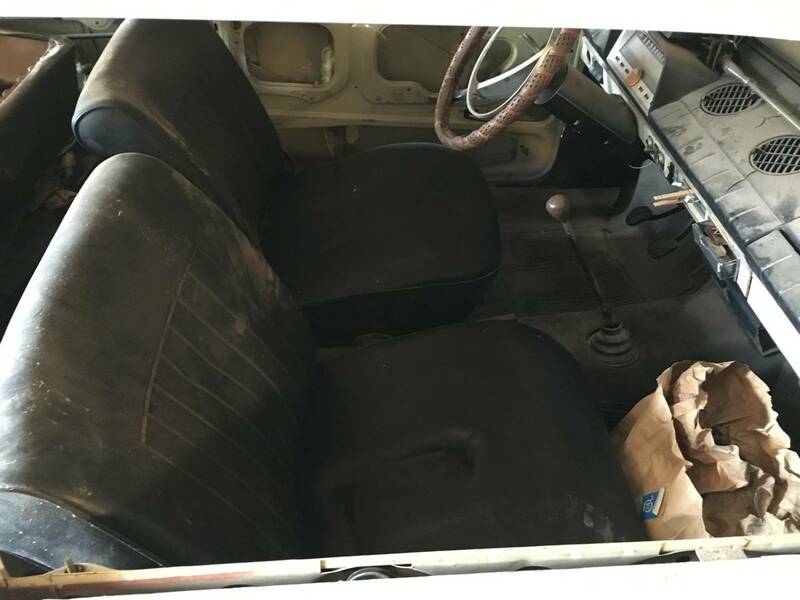 Would this fit on a Miata chassis? For that price and some road trip shenanigans, why not? Been a while, maybe the next DT project?